I have 3 DCs, 2 are VMs and 1 is a physical. I have 4 Host servers running hyper V.
I have tried everything under the sun to get the NTP working, but I still can't get it to work. All my Host servers and DCs are running win2012R2. And have ran the commands on all of my DCs, but it's still not working, the time is still off. 1) What NTP server are you using? 2) Are the packets actually making it through the outgoing firewall? 3) If so, are the return packets making it through the incoming firewall? 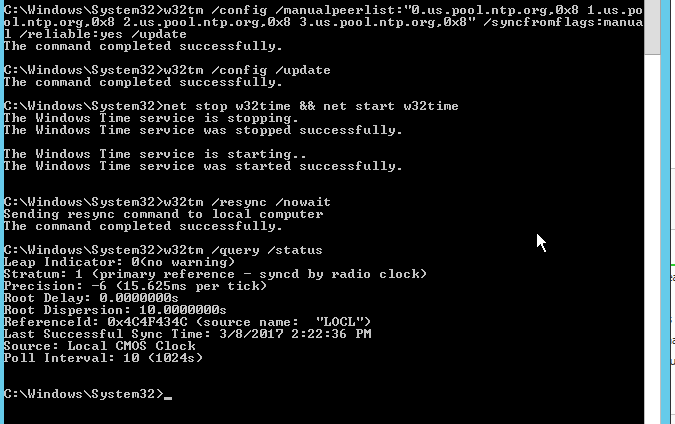 0.us.pool.ntp.org is a good one, as that DNS rotates through many different servers. If a server is down, the next time the request will be going to a different one. I personally don't like having one local time server that all systems depend on. This means if the master is off, everybody is off. Better imo to let each system enquire of one of the ntp.org servers individually. The maximum drift between systems should then be no more that a couple hundred milliseconds, less if the updates are done multiple times a day. If nothing emerges, you might want to look at the Meinberg NTP software instead. It's been around for a long time. In a Domain environment, you will only need to configure the Domain Controller with NTP that is synchronizing with a reliable time source. As for the other member servers, once they are joined to the domain it will automatically sync with the time from the DC. You can follow the below to configure your DC to sync with an external time source. Isn't this the same question you've already asked and have mot closed here? Please let us know current NTP configuration. Normally when you promote the DC it has the capability to act as NTP server. It is recommended to have this role installed on PDC role holder server. Also if you have VM in place you should disable the time sync with esxi server as there are some issues with time synchronization. Then you can configure the authoritative time server in your environment. Please follw steps under "Configuring the Windows Time service to use an external time source" as your NTP server must sync time with external time source and update in domain accordingly. Need to configure NTP valure in registry. for other domain servers in your network you can configure nt5ds value which will get sync time with your NTP server. for more information pls see the article. Even while here's a lot of hints and links already, I'll try to throw in my article on NTP, too. It's on NTP basics mainly, but it contains a lot of trouble evasion hints, too. implies to me that you're wrestling around with W32time, the Windows on-board timekeeper service. I've had enough hassle with that piece of crap in NTP mode to avoid it whenever I have a chance to. I'd recommend to switch over to something stable and mature: Use a Windows port of the classic *ux NTP client. I think my issue might be that my 3 DCs are trying to be the internal NTP server. I ran these on all my DCs. These are all the different commands I ran. This question is not exactly the same as my other question, as after I can figure out the NTP problem on my server, then I do want all my PCs to get the time from my internal NTP server, so I'm guessing it's a different question. On my firewall, I did open up the port NTP uses, so that should be good. I guess I should check the windows server firewall to see if that port is open as well? Dr Klahn, how did you get to that screen, as i'm on windows 10 and I can't get to that screen? Is there a way to see all of the NTP configured servers in my domain? Here's the configuration for all my 3 DCs. OK - I've been right: W32time. So I repeat my advice: Kick W32time out and use a classic NTP client. Follow the guidlines in my article on NTP. Use all the 4 NTP server pointers from pool.ntp.org (preferably some in your region ... see http://www.pool.ntp.org for details on regional servers; klick on the region name on the right of the gage for directions). But I have 3 PDCs So I have 3 domain controllers. From what you're saying, I need to only configure one of them to be the time keeper. How do I know if I have other servers that are configured to be the NTP server? You had referenced asia.pool.etc... I'm in the US, so wouldn't I want to use servers in the US? 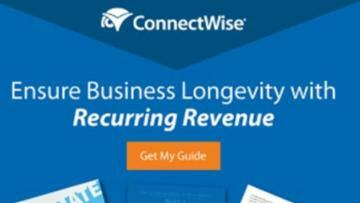 You don't have 3 PDCs, you are running how many domains? Single domain single forest right? yes, thanks, I figured out which DC is my PDC. So my DCs are virtualized, will that be a problem? I'm running a scale SAN. some places have 0x1, you list 0x8, whats the difference? thanks, I had googled it after I wrote the comment. So I did the status and source and this is strange, is this correct? Then I checked the source on one of my servers, and it's not syncing to the DC, it looks like it's syncing with the local CMOS clock. Isnt this wrong? How do I get all the servers and PCs to sync with the PDC now? have you got PDC working correctly? looks like even my PDC is not working. How do I overcome this problem? I even configured GP as well with the same settings, nothing. I hate to repeat myself, but here's my advice again. Kick W32time out and use a classic NTP client Windows port. Follow the guidlines in my article on NTP. See my prevoius comments, too. The classic NTP client is mature like my grandma (first published 1985 and actively developed ever since) has the ressource footprint of a newborn girl, is easier to troubleshoot than W32time, works like a charm and is stable as a rock. You could get decent port i.e. from the Meinberg web site. Give it a try. Installing is easy, as the configuration is, too. And uninstalling it is like removing any other software. Thanks everyone, got it figured out. I had some GPs enabled that was over writing what I had configured.